Last month I hosted a Beading Design Contest for jewelry Excellence and invited everyone to send in a picture of a recent jewelry piece they had created. We had five contestants and the above design by Karlas Krystals was the winner. “Megan is more then just a friend, Megan is the mom to my daughter-in-law’s niece. This makes Megan Family! My Daughter-in-law had an idea to have another fundraiser in January in Megan’s home town, since that is where Megan is from. After agreeing I wondered what I could make, I told my husband I wanted to try to make jewelry. I got some beads and just started making necklaces, bracelets, and earrings, The fundraiser never took off, however my jewelry has been taken to a whole new level in my life! I have fallen in love with making handmade beaded jewelry and having my ideas come to life, and so has my family and friends, They all keep asking and requesting for more jewelry to buy. We can all relate to Karla’s last statement, we all love beading and making our creations come to life in colorful brilliance! Leave a comment and tell us how you got started making beaded jewelry designs! We are having a jewelry beading design contest, to share and see all the beautiful beaded creations that everyone makes! 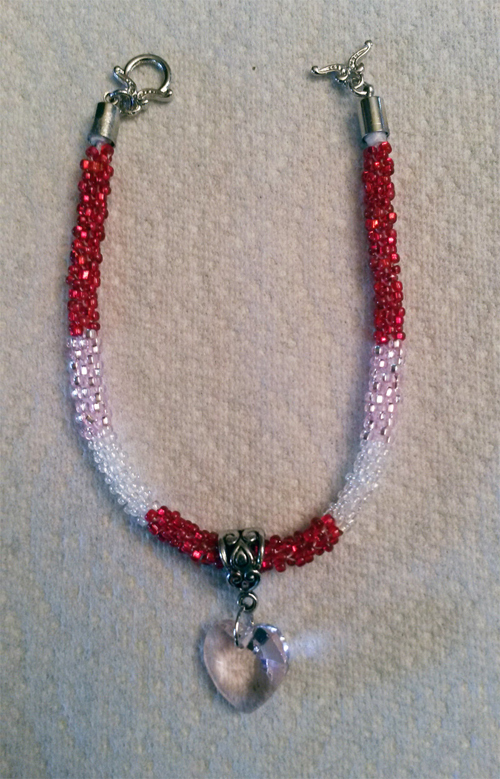 Simple, easy and fun – just send a picture of your recent beaded jewelry design. Email a picture to beadloverskorner@gmail.com of your beaded jewelry design – earrings, bracelet or necklace. Try to get a good clean picture so we can see the design clearly. Send a jpg image no larger than 1600px. Please include your name, email address to contact you in case you win, title of your item and a brief description or any special materials used. After review of entries, our expert panel will select top finalists for voting, based on uniqueness and originality, excellent workmanship and use of colorful and diverse beads. Finalists will be posted to an album in our Facebook page for Likes, comments and sharing to help determine the winner. Leap Day is a day that happens once every 4 years and deserves something special!! 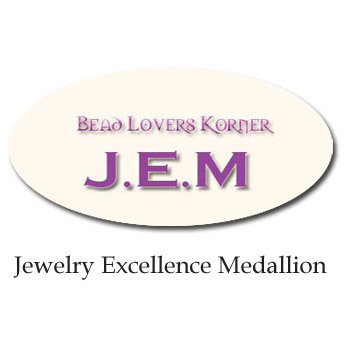 I decided to give away a gift certificate for $25.00 to Bead Lovers Korner website. Then I found a blog that is hosting a Leap Day Giveaway Blog Hop at Such a Sew and Sew and decided to add that too, what fun! Please leave a comment here on my blog along with your email address so I can contact you if you are the winner. No need to be a follower, but that would be an added bonus! 1. Choose something to give away on Leap Day. Keep it simple. You can make something, give away a bit of your stash, offer a service, buy your favorite gadget to give away or offer something completely non-crafty. Your blog, you choose. 2. To participate in the blog hop, your giveaway must start and end on Leap Day (February 29, 2012). You can open it at 10:00 am and close it at 10:00 pm, or go midnight to midnight, or anything in between. Your blog, your rules. 3. Post your giveaway and then link up at Such a Sew and Sew. Please include the Leap Day Giveaway button (code found on the Leap Day Giveaway post) somewhere in your post. The linky will open at noon MST on February 28th and close at 10:00 am MST on March 1st, to allow for people in different time zones to participate. 4. If you want to include the linky on your giveaway post so that others can link up from your blog the code in available here. If you choose to add the linky to your post, you MUST include the above rules so that it is fair play for all.